Tired does not even begin to describe how I felt when I woke up. 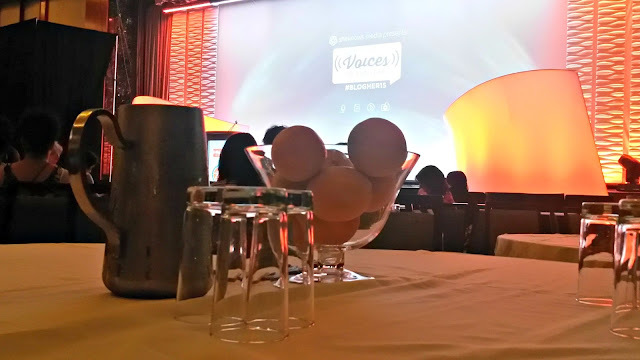 I sluggishly made my way to the city and barely made it to breakfast and the morning Keynote. The keynote was amazing with Anna Maria Chavez, Soledad O'Brien and Samantha Skey. I felt so moved and inspired by these ladies stories. 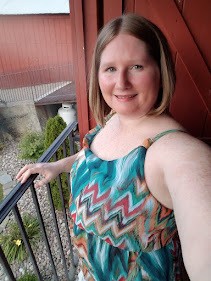 I left the keynote feeling pumped as I headed to a private event with Sears Connection. This was a panel of ladies talking about all the new technology Sears has to offer as well as how we can use it in our everyday lives. One of the panelists was Randi Zuckerberg. She had so many great ideas about keeping families grounded in this techno world we live in. We all received a little goody bag along with Randi's book Dot Complicated: Untangling Our Wired Lives. Looking forward to reading that! After that amazing panel I ran to lunch where Gwyneth Paltrow was speaking. She spoke about Goop, parenting, her divorce, and dealing with criticism of being in the spotlight. She spoke so candidly and open. I really felt like she was just another blogger/business woman trying to make it in this crazy world. She laughed, she cried, and she inspired. Such a great person to bring into a conference for blogging. I felt like she had some pretty good advice on how to deal with life in the spotlight. Even as bloggers we may not be huge celebrities, but we are putting ourselves out there for criticism. Some days it is harder than others to deal with the real dangers that come along with public writing. I have said this before and I will say it again, not everyone will like you or your writing. Gwyneth spoke about how she deals with these issues and how they made her really look at herself. Some of the negativity that comes out of the criticism helps to shape yourself and work on things that may be your own insecurities. I left lunch feeling a lot better about some of the stuff going on in my life. It was a great way to remind myself to keep moving even in difficult times. I moved on to my first session since coming to the conference. I attended Humor Writing in 140 Characters and Beyond with Sarah Maizes. This was meant to be a round table discussion but quickly became pretty crowded where it became very hard to hear. I took a little out of this session, but I wish it would have been a little better organized. After the session there was an Expo break. I used this time to visit with any of the vendors I hadn't already talked to. 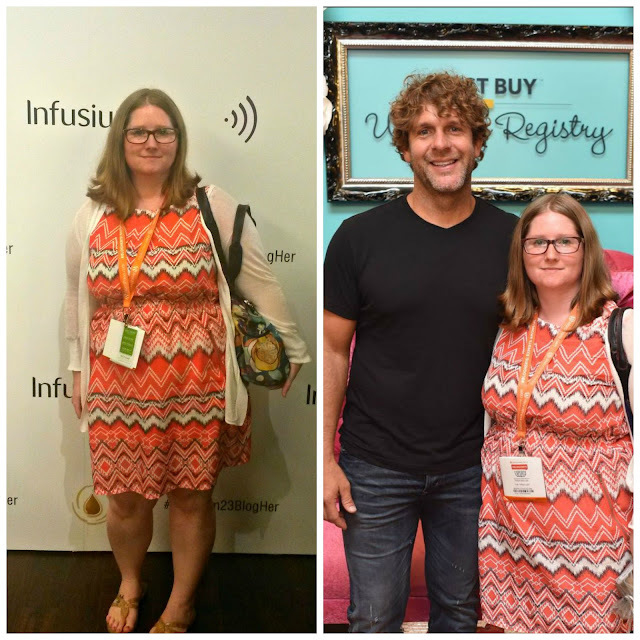 I had an opportunity to meet country music artist Billy Currington courtesy of Best Buy Wedding Registries. I also sampled some Coca Cola Life. Tasted yummy to me! Quenched my thirst and got me ready for the Voices of the Year (VOTY) ceremony. 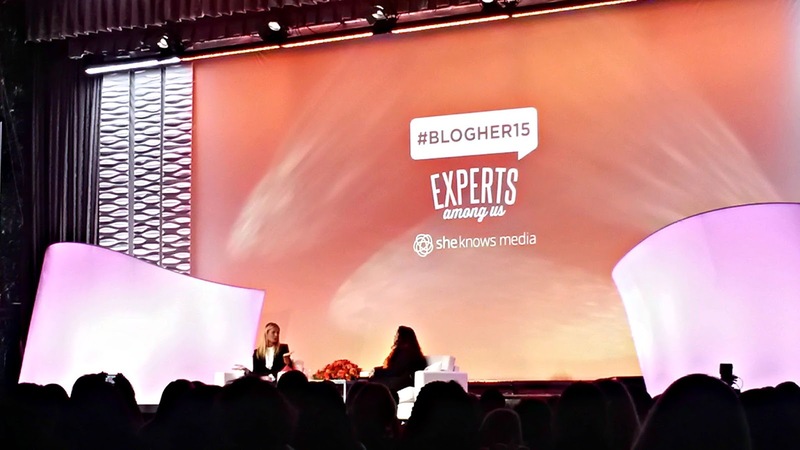 It was so inspiring to see what people have been doing this year in the blogging community. They have been inspiring and helping people understand some tough times. Such an amazing ceremony. Immediately after the ceremony there was a champagne reception. I was starting to get tired and wanted to spend some time with my cousin, so I decided to head out a little early. I was smart today and did not get to much swag so the trip back to Penn Station went smoother. I was able to take the subway. Much quicker and cheaper than the cab ride. Unfortunately like I mentioned in yesterdays post, you must come prepared for everything. This includes all trains being temporarily suspended due to "police activity" at one of the stations you needed to pass through to get home. My idea of getting home earlier to my cousin was delayed and of course this was during rush hour on a Friday when EVERYONE wanted to just get home. It was hot, people were angry, and that just leads to chaos no matter how you look at it. Finally we learned 2 trains had side swiped eachother on the westbound tracks (I was headed eastbound) causing damage and derailment. After a good hour or so they opened the eastbound tracks allowing me and the hundreds of others to finally head home. Saying the train was crowded was an understatement! Go to bed at a normal time! Being exhausted especially when traveling is never fun. Pack a water bottle. I was pretty thirsty at times and when the train was delayed and the stations were scorching hot, water would of been a good idea to have. Don't forget your comfy shoes. I left with just my sandals and at times my feet were very angry at me! Check news alerts before heading anywhere. I could of stayed at the conference enjoying some champagne while the train situation sorted itself out. I hope you enjoyed Day 2! If you didn't see Day 1 you can recap that here---> Day 1! Also don't forget to come back tomorrow for Day 3!